I've discovered a great source of economic intellectual enlightenment and entertainment: The Detroit Film Theater located in the Detroit Institute of Arts. 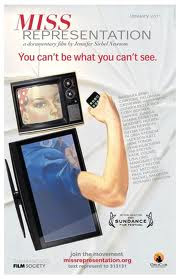 The theater wrapped up its summer season with the film "!Women Art Revolution," a new documentary by filmmaker/artist Lynn Hershman Leeson that explored the feminist art movement of the 1960s and '70s. This was definitely not a film to be found at a local cineplex, and neither are the films included in the DFT's fall schedule. "Mozart's Sister. " Who knew he had one? That's exactly the point. This is the "re-imagined account of the early life of Maria Anna "Nannerl" Mozart". She was an exceptional musician and composer whose talents were on par with those of her famous brother, Wolfgang. Yet, she was a victim of the strictly enforced gender roles of her time. Since this is a "re-imagined account," it would be interesting to do some research to see just how much artistic license is taken with this woman's story. The film plays Friday, Sept. 30 at 7 p.m; Saturday, Oct. 1 at 7 p.m.; Sunday, October 2 at 2 p.m.; Friday, Oct. 7 at 9:45 p.m.; Saturday, Oct. 8 at 9:45 p.m. and Sunday, Oct. 9 at 4:45 p.m.
"A Woman Like That." This is a presentation of the Friends of Detroit Film Theater and the DIA European Paintings Council. Filmmaker Ellen Weissbrod combines her own life experiences with the "her pursuit of the truths behind the legends about 17th century female painter Artemisia Gentileschi. Gentileschi's painting "Judith with the Head of Holofernes" hangs in the DIA's gallery. The DFT says, "The enduring power of her story is revealed through her singular works of art, and the filmmaker learns that it matters who gets to tell it." The Detroit Film Theater is located at the Detroit Institute of Arts, 5200 Woodward, Detroit, Mich. Secure lot parking is available for $5. The great thing about the features is that they are not expensive. Tickets are $7.50 and discounts are available for students and senior citizens. Order tickets on line and see the DFT's full fall schedule at: dia.org/dft. Secure lot parking is available for $5. I studied Artemisia Gentileschi a little in Italy. I love her and her work. Both of these movies look fantastic. I hope they play somewhere near me!